" Dear Mandy, Just a note to say a huge thank you for doing the wedding hair and make-up for myself and my 2 bridesmaids. The results were fantastic. All our guests said the three of us looked beautiful. Our hair and make-up stayed perfect, right up until the end. Thanks again for everything, including calming my nerves! Best wishes." Customer Comment: Mandy was brilliant. She was calm and attentive and even though we were running late she did everything to time and as we needed it to be done. Thanks mandy for making everyone look stunning and doing a fantastic job. Will definitely use you again. Customer Comment:	I got married on 28th June this year and when I first started planning what my hair and make up should look like for both myself and bridesmaids I had no idea! That was until I met Mandy at my trial. Mandy is friendly, bubbly, someone who makes you feel at ease but also she can understand what you want and translate it into a style. I left the trial feeling beautiful and could not wait for the wedding day. On our wedding day Mandy was in my eyes wonder woman! She had a bride, 4 bridesmaids and two mums to contend with. This did not phase her at all and when we started at 6am she was as bubbly and talkative as ever! If you are looking for someone who has the whole package and at good prices then give Mandy a call. I could not have asked for more. Thank you Mandy! Customer Comment:	Mandy did hair and make up for both myself and my two bridesmaids. The make up was exactly what I wanted and looked fresh all day. I've never worn my hair up but Mandy persuaded me to give it a try. It looked amazing and stayed in place all day. The two bridesmaids looked stunning - very fresh and not at all over made up. Mandy is very likeable and extremely friendly who listens to you but will guide you as she knows what she's doing. A professional lady at all times but someone you can definitely relax around. A real star. Customer Comment:	Mandy was amazing :-) I was very nervous about wearing make up as I do not usually wear it. At the trial she calmed my nerves and I was really surprised how I looked. On my wedding day Mandy was professional, friendly and calm and made me and my bridesmaids all look stunning and natural too :-) Thank you so much Mandy. I will not heistate to recommend you. 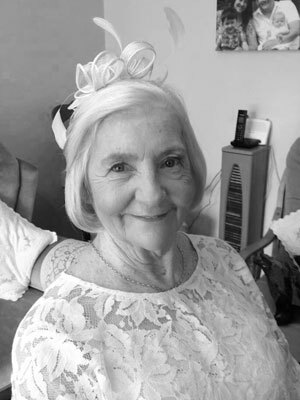 Customer Comment:	Fantastic - Mandy, thank you so much for being flexible - adding another person on the day, and for spending the time talking to Mum about why she didn't like wearing make up - she looked stunning on the day. We ALL looked stunning - will be in touch again if we have any other functions that need your attention to detail again. I can only highly recommend you to everybody! Customer Comment:	Mandy was truly exceptional. She was friendly, she asked just a couple of questions and somehow knew exactly what look I was after, she was on time, she made sure I was 100% happy at the trial and she made my life easy by coming to my home for the trial, and to the hotel on the wedding day. Most importantly, she did my hair perfectly on my wedding day and it held beautifully until the very very end without a single strand out of place!! My bridesmaids were all thrilled with their 'dos' too and I would THOROUGHLY recommend Big Day Hair and Make Up!!! Customer Comment:	Really good service from start to finish. Would definately recommend. Customer Comment:	I really needed to tell any 'brides to be' about how totally wonderful Mandy Driver (owner of Big Day Hair and Makeup) was for my wedding day. She got all our styles exactly as we wanted and my make up was fresh looking but lasted all day long. I had so many comments but the best one from my groom as I met him at the alter made my day. She was so professional but so very friendly and helpful throughout. I will really miss her... so hoping for some other fancy do's to go now! Customer Comment:	Mandy was brilliant, i never do anything special with my hair and make up and didn't know what to really go for on my wedding day. Mandy talked me through some ideas and photos, which made me more confident in what i wanted. I had an amazing day and felt like a princess. Customer Comment:	I just wanted to thank you so much for doing mine and my bridesmaids hair and make up for my wedding. You were truly amazing on the day, doing over and above what you needed to - always being on hand to help with little extra things like the kink in Holly's hair and the 'getting the dress over my head without ruining the hair and make up'. It was very important to me that the person who was going to be with me for the morning of the wedding to do the hair and make up was down to earth and friendly and you were just perfect and we had such a great time! Despite the gale force winds the hair stayed in place all day and night and I got so many comments on how beautiful I looked I truly felt like a princess! I had a fantastic day and thanks so much for being a part of it. I can't recommend you highly enough! Customer Comment:	I used Mandy for my wedding in Jan 2011 and she was just fantastic/brilliant/wonderful! She was so approachable and put me at ease and she made us (me, my mum and bridesmaids) look so lovely. We had a really relaxed wedding morning and Mandy was so organised and professional. I would also say that she was well priced too. Customer Comment:	I had been quite nervous about what my hair and makeup would look like for my wedding as I am not really into that sort of thing and wanted to look like I have make up on but not look over done. Mandy was fantastic and I looked brilliant. She worked with me and gave me some tips as well. She was really friendly and easy to get along with. My hair also was done just how I asked and it looked great and lasted all day. 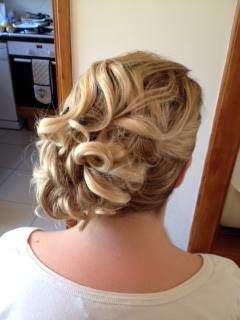 Customer Comment:	Mandy did my hair & makeup for my wedding day in September in Windsor - She was brilliant! I couldn't have asked for a better service. I live in Hampshire but she was flexible and helpful when making the arrangements for both trial and wedding. I'm the first to admit I was a bit intimidated by the whole "wedding thing" but she was kind, patient and tried several styles before I settled on the right "hair-do" for me. (One of the first ones she showed me and suggested may suit me but happily let me exclude other ideas first.) She was spot on in her make-up application making me feel beautiful but "still me." Mandy's relaxed easy manner got my wedding day off to the perfect start. She not only made me look great (and more feminine than I have ever looked) but also kept me calm whilst co-ordinating all the extra things like flower / cake & bridesmaid arrivals. Most of all she went out of her way to make sure my mum had a brilliant day. My mum is very sick and up until the day of the wedding we were not even sure she was going to be with us on the day but Mandy changed her timetable at the last minute so she could greet my mum on arrival, calmed her down, did her hair and makeup and made her look brilliant but more importantly made her feel beautiful. Her kindness to me and my mother surpassed normal customer care. Mandy provided a service which was exceptional. Mandy I can't thank you enough for everything you did. I had a great day and more importantly so did my mum! Thank you for everything you did. Response:	Hi Nikki It was so lovely to meet and get to know both yourself and your Mum. It was also great to make your day as special as it could be and a pleasure to make your Mum feel happy about her appearence when so ill. I hope you have a great married life together! If you would like to leave feedback about my service please contact me! is a professional Mobile Wedding Hair Stylist and Makeup Artist covering Berkshire, Windsor, Maidenhead, Bracknell, Ascot, Slough, Reading, High Wycombe, Buckinghamshire, Surrey, Hampshire and the South East. I will do all I can to make your day even more special and ensure that you and your friends/family look fantastic and just like the stars you are! If you are outside of the areas listed, please call me to discuss! All content and images are subject to copyright. © Big Day Hair and Makeup 2015. All Rights Reserved. All the brides who very kindly gave their permission for their photographs to appear on the Big Day Hair & Makeup website. ★ Contact Mandy for further details.